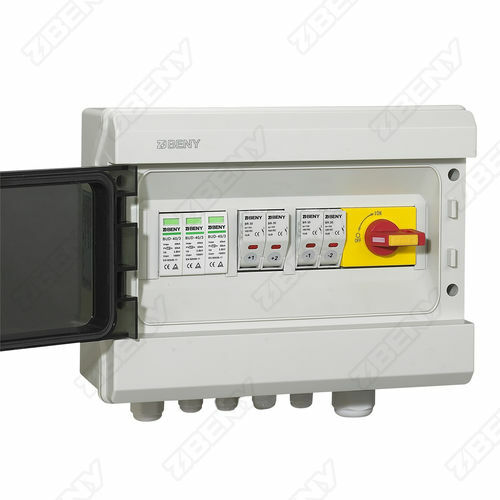 Solar combiner box / wall-mount / rectangular / PC - BHS-2/1 - Zhejiang Benyi Electrical Co.,ltd. Electricity - Electronics - Optics > Cable, Connector, Enclosure > Zhejiang Benyi Electrical Co.,ltd. Stand: Zhejiang Benyi Electrical Co.,ltd. BHS-2/1 Zhejiang Benyi Electrical Co.,ltd. 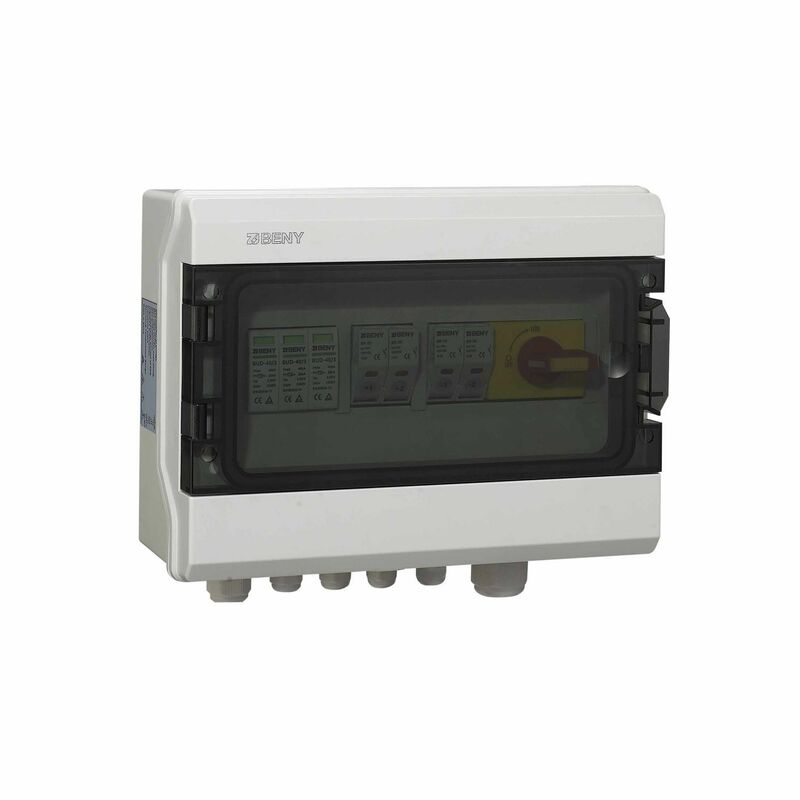 BHS Series DC string combiner boxes supply string level protection to Solar PV systems.Integrated with load break switch,With over-current protection and transient surge suppression.